Hello everyone, how are we all dealing with the weather? I love this time of year, the change in weather which tells me that summer is on its way. The product that I am reviewing today is the first of two products that I received in the goody bag from an event which I was lucky enough to attend a while ago. 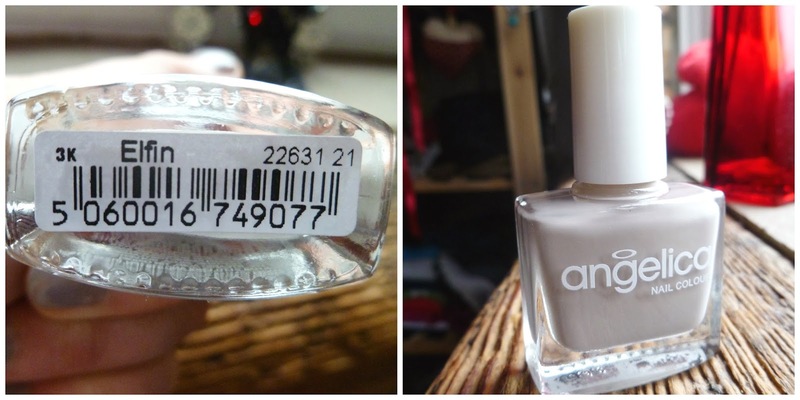 The two nail polishes are from the brand Angelica Nail Colour. What made me try this product first was that this brand had spent time personalising the packet that they came in and also the wrapping was pink, so I just couldn’t resist! The colour that I am reviewing today is called Elfin*. Originally I thought that this polish was going to come out as more of a mushroom shade, so I was slightly disappointed at first as I felt that it was more of a lilac brown shade, but the colour did grown on me. Now I think that this is a really good transition colour from summer into autumn. What I really like about this polish is the formulation, once it dried it had a high shine finish which I thought looked very sleek and I think this would finish off an outfit nicely. Though what impressed me most about this nail polish was that it was really easy to paint onto the nails, it was not gloopy and dried fairly quickly. If I wanted to be lazy, I am sure that one coat would be enough though two coats created a deeper colour. Another factor that really impressed me about this product is that it was had great staying power, after I applied it I did not need to touch it up for just under a week which I thought was a miracle! Usually I am awful with nail varnishes and once they start to chip I peel the whole lot off, but this just didn’t seem to chip! Over all I was really impressed with this product and I would definitely buy from this range in the future. I am also very excited to try the other colour that they sent me. Have you tried any products from this company before? If so what did you think? Ooh, I really want to give these a go now! The color is lovely as well! never heard of this brand, gorgeous shade! Great review, will have to try them sometime!